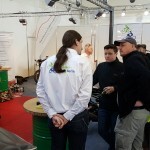 Am Innungsstand herrschte teilweise großer Andrang, viele informierten sich über die Berufsausbildung, Freelance apprenticeships and expert advice were not forgotten,,de,The two-wheeled mechatronics students from the Vulkan education market showed the interested visitors how to adjust the valve clearance on the V-engine,,de,einspeicht an impeller and much more,,de,At the raffle, the participants had to feel again motorcycle parts,,de,which made one or the other of a difficult task. 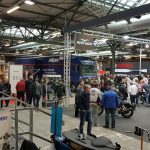 & nbsp; The team around Jörg Steinig had their hands full,,de,We thank & nbsp; to all sponsors for the great support,,de,Motyl Germany and Langenscheidt GmbH Motorradtechnik,,de,Accessories. 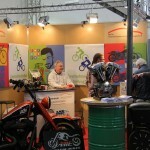 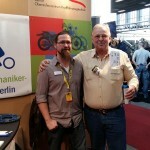 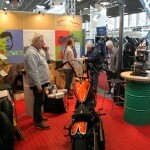 & Nbsp;,,de,Find Berlin Motorcycle Days from,,de,in STATION Berlin,,de. 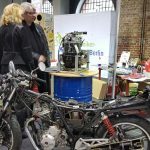 Die Zweiradmechatroniker Umschüler vom Bildungsmarkt Vulkan führten den interessierten Besuchern vor wie man am V-Motor das Ventilspiel einstellt, ein Laufrad einspeicht und vieles mehr. 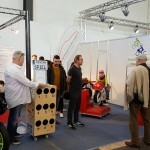 Beim Gewinnspiel mussten die Teilnehmer wieder Motorradteile ertasten, was den einen oder anderen vor einer schwierigen Aufgabe stellte.&nbsp; Das Team rund um Jörg Steinig hatte alle Hände voll zu tun. 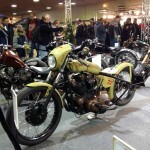 The 23. 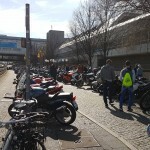 Berliner Motorrad Tage finden vom 08.02. 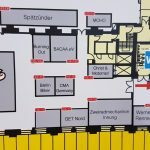 – 10.02.2019 in der STATION Berlin statt. 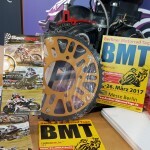 Nach erfolgreichem Comeback der Berliner Motorrad Tage – kurz BMT – im Frühjahr 2016 gab es jetzt ein Wiedersehen auf dem Messegelände unter dem Funkturm. 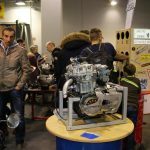 From 24. to 26. 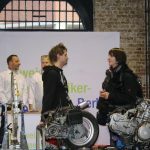 März wurde in 8 Messehallen alles geboten, was das Biker Herz höher schlagen lässt. 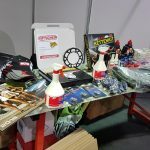 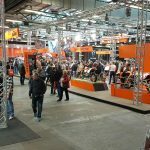 Vielen Dank an alle Sponsoren: ABUS Schlösser, Bel Ray, Cypacc Parts & Accessories GmbH, Pirelli- Metzeler Deutschland GmbH, Motul Deutschland, Langenscheidt GmbH Motorradtechnik & equipment, PEUGEOT MOTOCYCLES Deutschland GmbH. 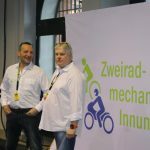 Many thanks also & nbsp; to the TEAM of Jörg Steinig and the many helpers of the OSZ & the Guild,,de, den Firmen,,en, Cypacc Parts,,en,Many thanks also to the & nbsp; many helpers from the OSZ and the Guild,,de. 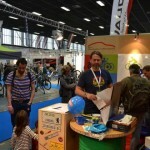 For the sixth time the VELOBerlin opened the weekend of 16. to 17. 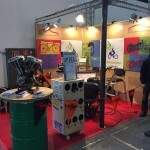 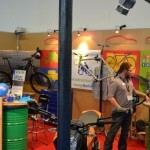 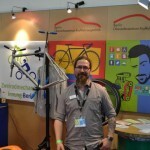 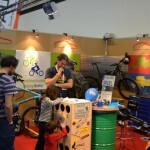 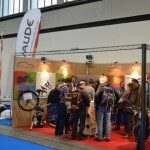 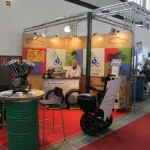 April 2016 its doors on the Messe Berlin and brought the latest issues and trends related to Bike, Mobility and travel to the capital. 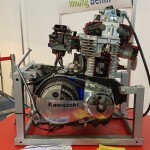 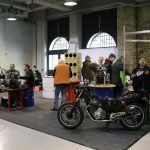 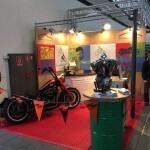 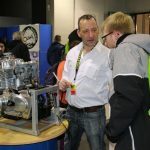 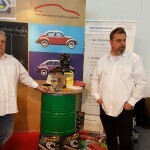 The motorcycle division of the OSZ automotive technology was there again and has informed on the topics of education for two-wheel bike and mechatronics fitter and on electromobility. 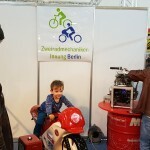 New this year was, that next to the OSZ also our cooperation partner in education, the Zweiradmechaniker Guild Berlin, was represented. 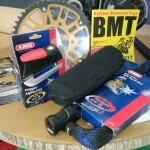 The Zweiradmechaniker Guild presented including a raffle ready, had to be blind palpated at the Bicycle Parts. 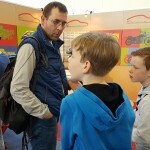 The visitors could verify or deepen their technology skills, they could win attractive prizes and we arrived on training opportunities this week. 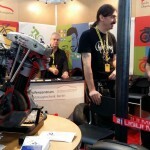 In addition, the OSC automotive technology outside the fair offered again to a guarded bicycle parking with security check. 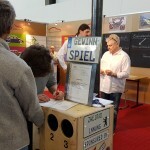 This task took our students * in under the guidance of our Zweiradmechaniker Master. 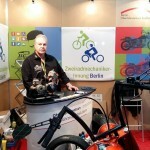 In collaboration with the OSZ Oberstufenzentrum automotive technology, we presented ourselves at this year's BMT. 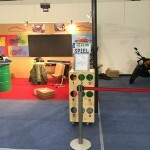 Around the radio tower burst the halls at the seams. 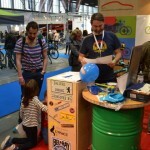 The BMT has over 63.000 Visitors reported back impressively. 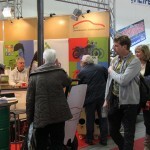 On Saturday there were alone 30.000 visitors, at the cash registers were about 200 Meters long queues. 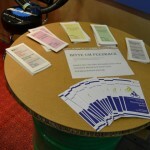 Out even had to be closed for safety reasons, the inlet. 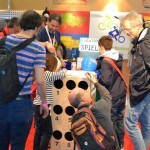 In our Community prior crowd was large and the competition was very popular. 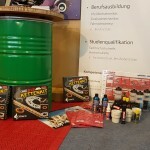 The main prizes were a set of tires from Continental, a Kettenkit of DID and an oil change at a guild member by choice. 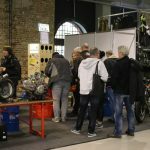 We would like to thank all our sponsors,&nbsp;&nbsp;den Firmen:&nbsp;&nbsp;Cypacc Parts & Accessories GmbH, Continental Tires Germany GmbH and Langenscheidt GmbH motortechnique & equipment. 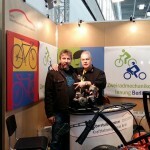 Vielen Dank auch&nbsp;an den&nbsp;vielen Helfern vom OSZ und der Innung.